If you live in New York City it's very likely that you have been approached by a representative from Green Mountain Energy. Usually it is a college student on summer break standing beside a pop up tent with a clipboard and a bunch of reasons why you should switch to Green Mountain Energy as your energy service company or ESCO. "What is an ESCO? ", you may ask. Well if you look at your electricity bill you will see a handful of different charges, the two primary ones being your supply and delivery charges. The supply charge is for the generation of your electricity. That is what your ESCO is responsible for. In the bill below, the supply charge, from Green Mountain Energy, is for $16.9 per kWh. Very high even by NYC standards. Why would you choose to pay more for your electricity when you could pay less with another ESCO? With Green Mountain Energy presumably because they produce their electricity from renewable energy sources. Or so they want you to believe. Opening this months Con Edison electric bill we were intrigued to find a list of all the ESCOs operating in ConEd territory with their fuel mix and emission profile. 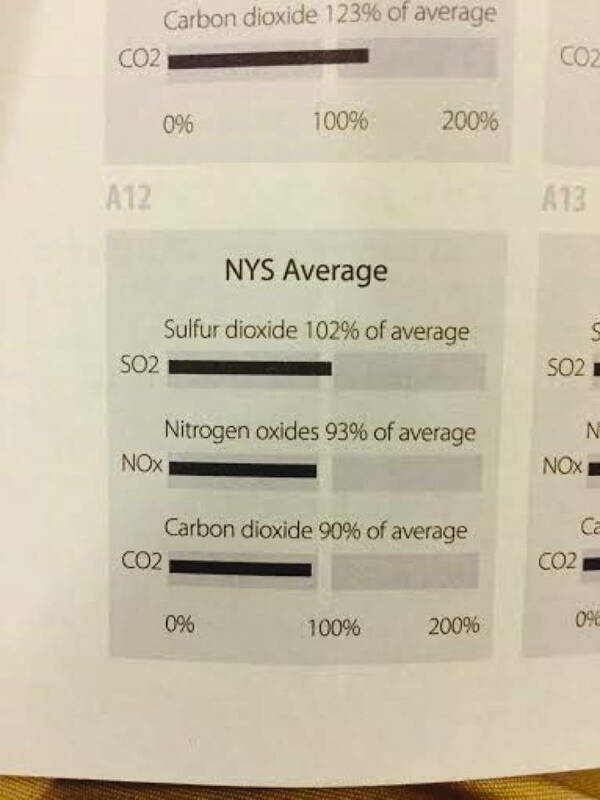 Green Mountain Energy, A12, turns out to have just below average emissions of carbon dioxide and nitrogen oxides and just above average emissions of sulfur dioxide. Furthermore, their fuel mix (F8) is comprised of only 5% wind and less then 1% solar. The winner? Starion Energy. With 47% wind, Starion was leaps and bounds ahead of everybody else. Our suggestion? You guessed it. If you own your home go solar. With some creative loan financing you can go solar with no money out of pocket and lock in a lower rate then what you are currently paying with the added bonus of owning a solar system after 15 years. If you do not own your home you should look into community solar. It was just approved in NY and will allow anybody paying a utility bill to partake in the benefits of clean, renewable solar energy. And regardless of whether you rent or own your home, if you are connected to the utility grid, switch your energy service company to Starion.